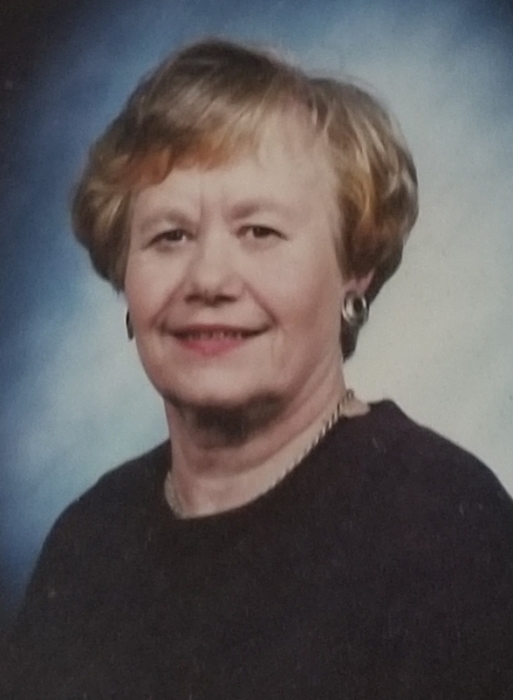 Joanne Hardimon, 78, of White Heath, died at home on Sunday, November 4, 2018. There will be a visitation on Wednesday, Nov. 7 from 5-7 pm at St. Boniface Catholic Church, Seymour, where she was a lifelong parishioner. The parish wake service will be prior to the visitation, at 4:30 at the church. The funeral Mass will be celebrated on Thursday, Nov. 8 at 10:00 am at the church with Msgr. Stanley Deptula officiating. Burial will be at St. Boniface Cemetery, Seymour. Owens Funeral Home is assisting the family with arrangements. Joanne was born on Feb. 15, 1940, the only child of Frank and Margaret (Kirwan) Schumacher. She met Larry Hardimon when she was a freshman in college and married him on March 3, 1962 at St. Boniface. He preceded her in death on March 24, 2010, they were married for 48 years. She was also preceded in death by 1 son, Larry. Survivors include 5 children and their families, Frank (Karen) Hardimon of White Heath, Mary (Curt) Wheeler of Morton Grove, Angie (Brian) Monk of St. Joseph, Steve (Lynn) Hardimon of St. Joseph and Beth (Jeff) Grubich of Naperville; 15 grandchildren, Jennifer, Jason, Shelby, Kelsey, Eric, Nicole, Hannah, Cassie, Ally, Emily, Erica, Alyza, Zade, Izak and Anzel; and 3 great-granddaughters, Elinor, Harper and Charlotte. Joanne received her nursing degree from Mercy’s Nursing Training School and worked in the hospital setting prior to becoming a full-time mother. She lived on a third generation family farm and was passionate about rural and farming issues. Joanne devoted her life to lobbying for farmer’s rights. After her kids were grown, Joanne went back to work as a nurse at Piatt County Nursing Home. She worked there for 20 years, earning retirement in 2009. Joanne led a very active life; she enjoyed playing in a monthly bunco group, going out with her lady friends for a weekly movie, watching Illini sports, attending weekly Bible Study, volunteering her nursing skills for blood pressure checks and other tasks, exercising at CURVES and shopping, where she was always on the hunt for a good bargain. But most of all, her favorite activity was spending time with her family and attending her grandchildren’s activities. During the last part of her life, Joanne was able to spend time in her home with the support of loving caregivers: Wime and Edith. Memorials may be made to Faith in Action of Piatt County or St. Boniface Catholic Church.